Are you experiencing the problem of eliminating weeds in your yard or garden because you are unable to find an adequate weed killer? Are you wanting to switch your store-bought weed killer for a more natural product? This video may have some information that you could find resourceful. 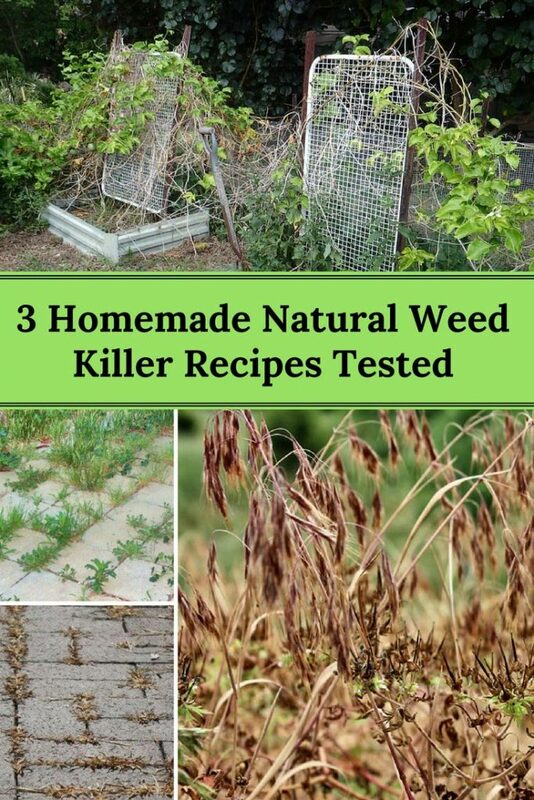 Take a look at three homemade weed killing recipes and see if using one of the natural recipes would work best for you! What Can the Video Tell You About Natural Homemade Weed Killing Recipes? The host begins the video by explaining why he chose the selected area he is testing on so you do not have to feel like good grass is being harmed. Then, he explains how he plans to conduct the tests and clarifies the ingredient measuring amounts for the different homemade natural weed killer recipes he will be testing. Also, he mentions how often he will apply the natural weed killer recipes and the timeframe he will use to judge the results of the recipe. Afterwards, he explains why he is or is not impressed with the recipe. He does bring up that the result comparisons did not include typical weed killers you can purchase at the store so it should be your judgement if you would prefer the natural recipe over store bought weed killers or not. Check out page 2 for the 3 recipes and see how they performed.